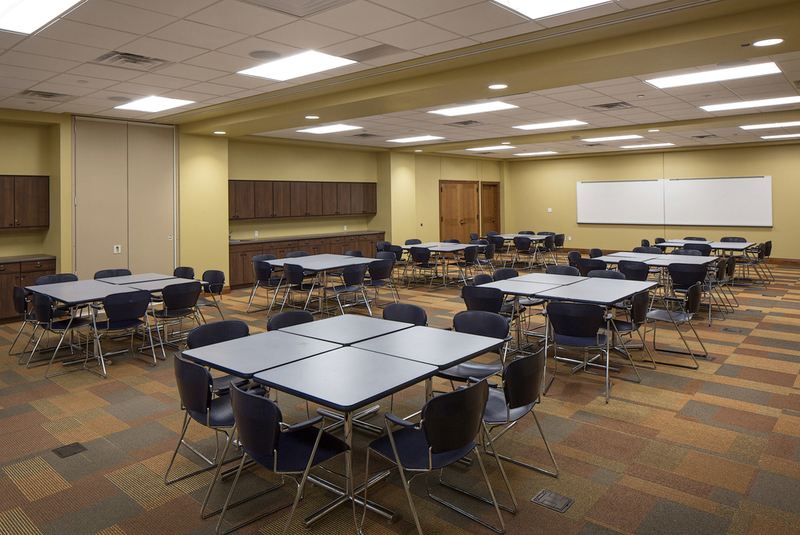 As one of the country’s flagship Newman Centers, the St. Thomas Aquinas Chapel and Newman Center at the University of Nebraska–Lincoln was vastly undersized. Working in collaboration with James McCrery of McCrery Architects and Dr. Denis McNamara, a brand new building replaced the 1960 structure. The new structure approximately doubles the previous square footage. 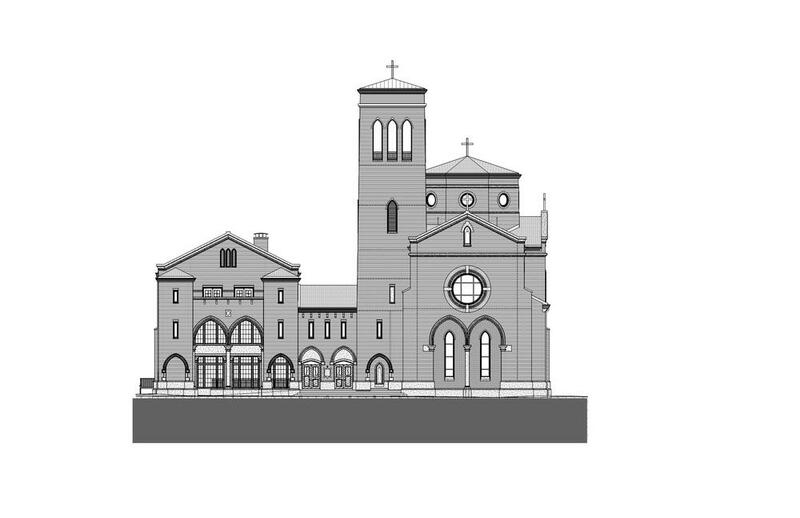 The chapel alone increased seating from 325 to 640 seats to better serve the vibrant, active Catholic student community. Designed in an English Collegiate Gothic tradition, the narthex is rotated to the center of the building between the Newman Center and the Chapel to provide a single unified entrance as well as providing additional seating in the chapel. An arcade of doric columns line the nave of the chapel. In the north transept, a side chapel dedicated to Our Lady may be utilized for smaller groups, Eucharistic Adoration, and overflow seating for larger Masses. The sanctuary contains antique altars, ambo, reading stand, and presidential chairs that were acquired from Ohio and England. The sanctuary appointments were restored and constructed by Mountain View Millworks - the pieces received decorative paint by Gold Leaf Studios in Washington, DC. Stained glass windows were designed and crafted by Franz Mayer of Munich in Germany. EverGreene Architectural Arts designed the murals and decorative finishes. Dominique Cheenne (C&C Consultants) provided acoustical consultation - resulting in the exceptional aural quality of the chapel.